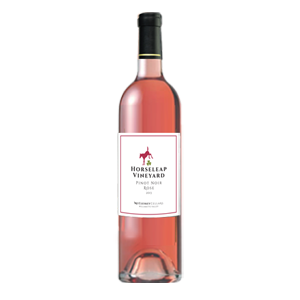 A brilliant rose from the pinot noir grape, the wine has enticing flavors of tart cherry and a faint earthiness. The wine finishes with a pleasant, mild bitterness. It compares very well with classic French roses. Pairs well with pasta, game, and egg dishes.